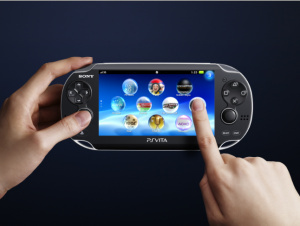 Talking Point: Does PlayStation Vita Have Nintendo Worried? Very seldom do you see a company like Nintendo drop the price of its brand new console by $80 less than 6 months after release, but with sales of the system lagging over the past few months Nintendo's taken the drastic measure. On 27th July, Nintendo announced that 3DS will drop to $169.99 in North America, with similar price drops in other regions too, beginning 12th August. And before everyone that's already purchased a system grabs their pitchforks and torches, it should be noted that anyone who's logged onto the eShop will get 10 free NES games and 10 free Game Boy Advance games as compensation for their loyalty, not a bad deal when you consider such titles as Yoshi's Island and Metroid Fusion are among the available free games. But now comes the question of why Nintendo, having crested a wave of video game success over the past several years, would suddenly and drastically drop the price of a system that just a few months ago it touted as likely to break even the Wii's massive sales records? In truth, there are likely a number of reasons for the price reduction, but the upcoming PlayStation Vita likely played at least a small part in the decision. So is Nintendo really that concerned about Vita? What company wouldn't be at least a little concerned that a competitor's new handheld was about to launch with their own unit struggling sales-wise? Having said that, it doesn't seem like that was the driving force behind the price drop: that would seem to be more about trying to jump-start sales leading into the holiday shopping season and giving gamers more incentive to pick up the unit. Now the question turns towards Sony and what this radical 3DS price drop does to the upcoming Vita release. Will the $80 difference turn gamers towards the 3DS rather than the Vita? It very well might, especially for consumers who were on the fence about which machine to pick up for Christmas. But let's face it, most gamers who are excited about PlayStation Vita weren't that concerned with the price difference to begin with. 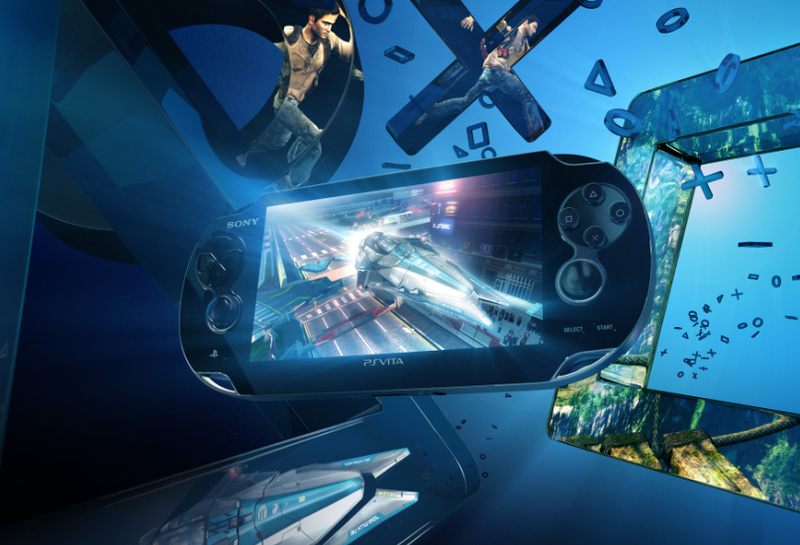 And if Sony can deliver with the rather impressive set of launch titles we took for a spin at E3, gamers will likely find little trouble ponying up the extra money for Sony's impressive new portable toy, regardless of what happens with 3DS . Can't wait to get our hands on this baby! In the end, it should be a lot of fun to see Nintendo and Sony go head-to-head this holiday season and watch the two compete for gamers' attention along the way. Nintendo has definitely given consumers incentive to consider their handheld and now it's going to be up to Sony to deliver a portable gaming experience at a price that will allow it to be competitive. We know we're excited about the prospect of two amazing portable game systems to choose from and we look forward to watching it all unfold in the coming months. So what do you guys think of the Nintendo 3DS price drop and do you think it will affect you or other gamers' decision to pick up the PlayStation Vita when it launches later this year? We'd love to hear your comments on the issues. I think those that planned on buying Vita from the start are still going to stick with Vita however low Nintendo goes. This machine is gonna be a monster powerhouse with some very good looking games. This hasn't changed anything for me. I'm still going to buy the vita, and I will still buy the 3ds, when we get a slim version(or one with higher quality hardware and a better battery). though the $170 price tag is very enticing. . .
Not stopping me from buying the Vita. I never understood why Nintendo overpriced the 3DS. I can see it being $200 but $250 is really high. Anyway, I still hope both companies do well in the end. Nope, I still want a Vita over 3DS. I'm sure I'll get a 3DS eventually, but not any time soon. I will buy Vita if I can, when I heard the price. I did feel the earth shake a bit, but I knew 3DS would survive. Your right Patrick. If Nintendo hadn't lowered the 3DS price, the Vita would have swept it to the side like a rotten apple. That was a very necessary move. Either way, I've already bought the 3DS and I'd already decided to get a Vita so nothing has changed, for me at least. Do I think the Vita will eat into 3DS sales? Probably not, in fact I'd say the 3DS only has itself to blame if it doesn't sell well. The same people who bought the PSP will buy the Vita, plus a few others like myself, but it's possible many people who bought the DS won't buy the 3DS, which will level the playing field. While I don't think they're going to impact each other too much, the handheld race is still going to be a lot closer. Also, 20 free games ftw! I'll buy a Vita for the eventual release of Project Diva (love that game so much), but I bought a 3DS at launch so I'm going to be playing games on that for a while, and I still have plenty of games to play on my PSP & PS3. @ turtlelink ("I never understood why Nintendo overpriced the 3DS"): well, because that has been their policy since the Gameboy. From a technological standpoint, all of their handheld machines has always been overpriced, but it's the absolute leader of handheld gaming we're talking about, so most people has been fine with this strategy until now. 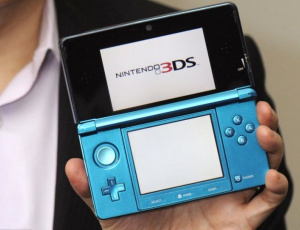 Nintendo knew that at some point, a competitor would come and challenge them by offering more for the same price, so lowering the 3DS price mustn't have been too much of a hassle. It was foreseeable, after all. I'm with you when you wish the best to both Sony and Nintendo, just because the future of dedicated consoles for portable gaming really is at stake nowadays. A repositioning of all prices, from hardware to software, was and is still the main condition for survival. 3DS is still gonna outsell Vita, therefore repeating history. The system with the best games (not necessarily the bloodiest) always wins: 3DS and Wii U. Sure the Vita will sell millions upon release, but it's all about game quality and not quantity. Yes, the 3DS is very likely to outsell the Vita due to name and price alone. However, I do feel that this is a completely different ball game, very unlike the DS vs. PSP battle of old. I also agree that it is all about game quality and not quantity. The DS showed us that quite handily. However, the 3DS isn't doing that so much. Almost nonexistent 3rd party support means that the only good games you'll find on it are Mario, Zelda, Metroid (once they get around to it), and maaaybe Kirby (it's been pretty lately though). Four quality games is okay, but it's four quality games that are just rehashes or remakes. Nothing reaaaally new. So in terms of game quality, the 3DS dropped the ball. And is picking it up real slow, unfortunately for 3DS owners. I mean, the only games really worth critical acclaim on a 3DS are over a decade old, have been redone before, and bring nothing new. The Vita has taken what the 3DS did at launch and flipped it, becoming almost obsessive with providing a kick launch in 2011/2012. Yes, there are a great deal of quality remakes on the Vita, but the reason it differs is because it offers a good mix of rehashes and new titles. Golden Abyss, Gravity Rush, Ruin, and Escape Plan all look amazing and are all new games. Final Fantasy X, Zone of the Enders, and MGS Collection also look great. So Vita has struck a good match and will definitely change the game for the better. So should Nintendo be worried? That's the wrong question. We know they're worried. Their "revolutionary" new system kinda sorta flopped on launch and their only competitor in the market is pulling out all the stops to capitalize on Nintendo's failures. The real question is, what can Nintendo do in light of the Vita hitting all the right notes? The answer, unfortunately for Nintendo, is little to nothing .They've played their hand. Now all they can do is sit and hope.